The BSEB, which is considered as one of the biggest board in India, students appeared in this exam are waiting for results. Waiting for Result ended today. Here are some procedures to check Result. 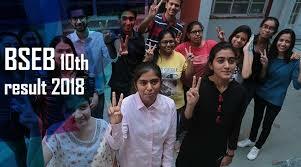 2:- Click on the Bihar Class 10th Results 2018. 3:- Enter your roll number and other information. 4:- Your BSEB Class 10 Result 2018 will appear. 5:- Click on Save to download BSEB Result. 6:- You may take it's print out which may be used as provisional marks sheet.